We had one goal and that was create a space that was so easy to use you’ll have no excuse for not creating the next best podcast. For just $15/hr you have full access to the studio. For more info scroll down below. We love podcasting and just want to make it as easy as possible for you to get up and running. Below are the most frequently asked questions. What is the hourly rental rate for the studio? What hygge location is the studio at? The podcast studio is located at the west charlotte location. the address is 2128 remount rd. What hours is the studio available? If you’re a first timer the studio is only available during business hours Monday thru Friday. If you’re a repeat user the calendar is wide open. want to podcast at midnight? Cool. Have fun. Do i need a SD card to record to? Yes, please have a 32gb or less SD card ready to go. You can buy these at Walmart or Amazon.com for under $20. How many mics are in the studio? We have 4 mics ready to go. Can I have someone call into the studio? Yup! There’s a cord handy that plugs directly into the headphone jack of a cell phone. Have them dial in and you’ll hear it on the headsets and recording. It’s easy. booking the studio. here’s how it works. Booking the studio is easy. Take a look at the options below and we’ll make it happen. 1. you’ve never been in the studio. It’s time to train with Tay Flo. We provide several dates & times throughout the month for a free 30 minute group training session on the equipment. Once this is completed you will have access to book your first session. This is not for team training. Please do not sign up your entire team. There’s limited spots, and only the team member that will be controlling the board should participate. We reserve the right to remove duplicate requests to train. Thanks for working with us on this. 2. you’ve completed your training session. You’ve completed your training with Tay Flo. 🙌 That means you have access to book your first session. Hit the button below to get access to the calendar. ** You must complete training with Tay Flo to book a first time session. 3. you’re a repeat hygge podcaster. I’m a professional, duh. I’ve trained with Tay Flo and have done my first session. It’s time that I take the training wheels off and crush this podcast world. 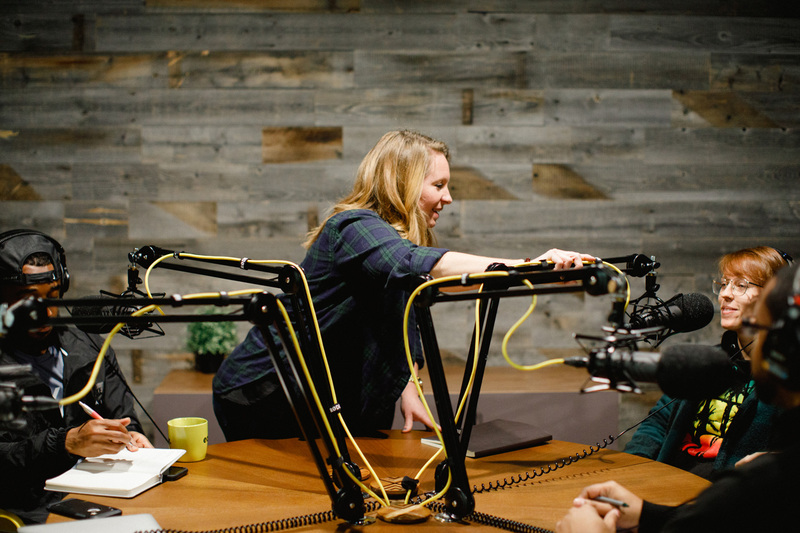 If you record a show every week or on a regular schedule and would like to have your time locked down moving forward email us at sayhello@wearehygge.com.